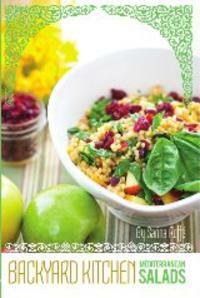 Sarina’s Sephardic Cuisine is a collection of kosher family recipes derived from Esther Cohen Salem, Sarina's grandmother, and Renee Salem Missry, her mother. The authentic recipes in the cooking app were handed down from mother to daughter with love and are traditional foods found in the Levant. For Sephardic Jews, food is an essential component in conveying Arab culture and Jewish religion. Cooking was a religious effort in upholding the laws of kashrut and in conveying their culture through food and annual traditions at holidays. Foods served in Syrian Jewish homes were rich in nutrients, flavors, colors and smells and are heavily influenced by the topography and environment in the Middle East. The cuisine also reflected the fact that Jews who settled here were either indigenous to the region or emigrated from Spain as a result of the 1492 Expulsion by King Ferdinand and Queen Isabella, or Europe. New York Times published Sarina Roffé, whose recipes have also been featured in NY Times Jewish Cookbook and Joan Nathan's Jewish Cooking in America, has released Backyard Kitchen: Mediterranean Salads. In the first in a series of user-friendly cookbooks, she includes authentic recipes for Middle Eastern salads, couscous salads and pickles. Sarina learned the secrets, techniques and subtleties of Syrian cooking that make the difference between a good cook and a great chef. She wanted to pass on the lessons learned from the women in her family to her children as a way of preserving Sephardic culture. Mediterranean Salads includes authentic recipes handed down from mother to daughter with love and are traditional foods found in the Levant. The book has links to video demonstrations.